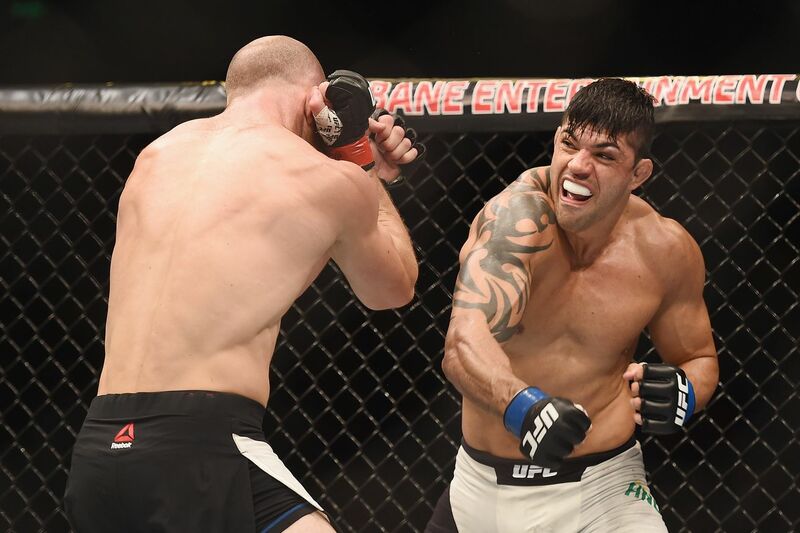 The UFC announced Tuesday that Brazilian welterweight Viscardi Andrade has been flagged for a “potential Anti-Doping Policy violation” stemming from an out-of-competition drug test. Andrade competed for the last time on March 19, defeating Richard Walsh via unanimous decision at UFC Fight Night 85 in Australia, was randomly drug tested 12 days before the contest. The sample was tested by a lab in Rio de Janeiro. In a statement, Andrade denied using banned substances. On Tuesday morning, April 12, I was surprised by a notification from USADA informing me of a possible violation in the sample collected on March 7, before my last UFC fight, a win over Rich Walsh. According to USADA, an institution I respect and know about the credibility, I violated the agency’s anti-doping policy. However, I deny, with all my character, ingesting any substance that violates their terms. Because of that, I requested the B sample to be tested and totally believe in my acquittal in this imbroglio. During my training camp for the fight, I did the same procedures I did in 10 years of my career. Same food, supplementation, everything approved in several anti-doping exams, many of them already as a UFC fighter, and followed by professional doctors and nutritionists. More than the UFC welterweight belt, today, I wish this entire situation to be cleared so I can come back as soon as possible to do what I love, which is fighting, and continue my professional career. I’m sorry for what happened, but all I have to do is wait for the B sample result. I thank my fans, friends and family who sent me messages of support and comfort and trust in my innocence since this news came out. You will see me back in action again soon. Thank you.